Take Action! 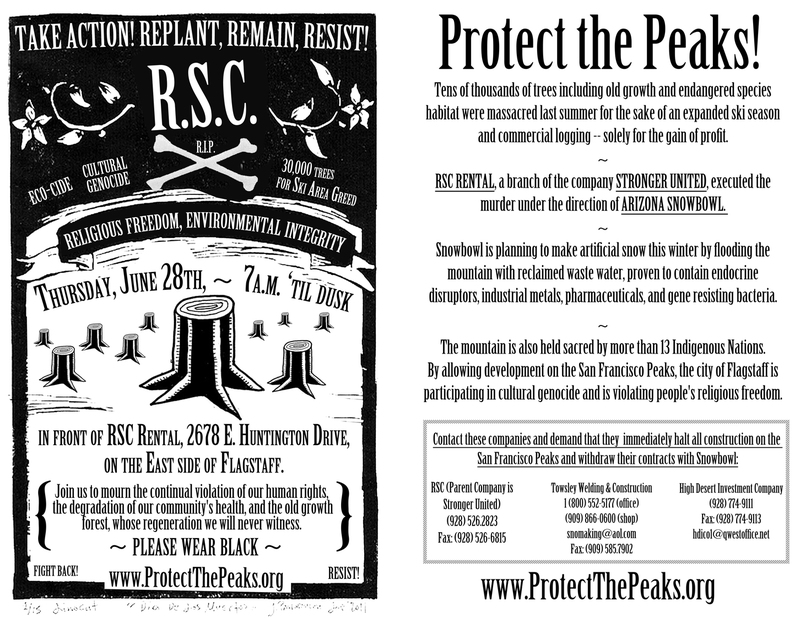 Replant, Remain, Resist! 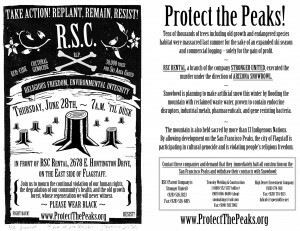 Join us to mourn the continual violation of our human rights, the degradation of our community’s health, and the old growth forest, whose regeneration we’ll never witness. Tens of thousands of trees including old growth and endangered species habitat were massacred last summer for the sake of an expanded ski season and commercial logging — solely for the gain of profit. 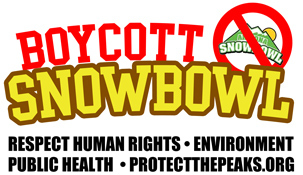 RSC Rental, a branch of the company Stronger United, executed the murder under the direction of Arizona Snowbowl. industrial metals, pharmaceuticals, and gene resisting bacteria. The mountain is also held sacred by more than 13 Indigenous Nations. By allowing development on the San Francisco Peaks, the city of Flagstaff is participating in cultural genocide and is violating people’s religious freedom.